Highly reliable and durable trucks are essential for ensuring the high levels of uptime and distribution that shippers demand. We support our customers' businesses with reliability and durability that they can count on. 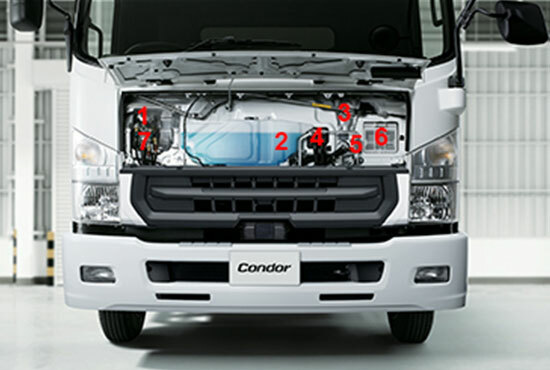 A lot of equipment related to daily inspection items is concentrically arranged inside the front panel of the cab. It enables easy inspection before driving and improves work efficiency. A lot of information on maintenance such as the accumulation state of the DPD filter and the replacement time of the engine oil is displayed on the multi-display. The notification of appropriate maintenance and replacement times supports operating in the best condition.